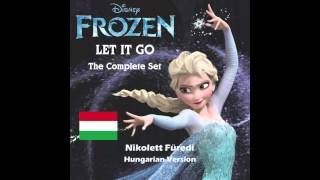 Hungarian "Let It Go" from "Frozen" with subtitles and translation in both Finnish and English. The singer is Füredi Nikolett. ~~ Weird stuff I'm uploading, huh? 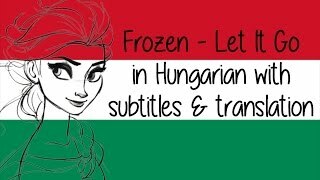 This is how I've been studying lately, translating and analyzing Hungarian Disney songs. It's a good way for me to learn. I also highlighted old Finno-Ugric words from the lyrics and I found quite many of them. There are also some other words that are related but they have gotten a little different semantic meanings in Finnish. For example "néz" (look) is related to "nähdä" (see) but they mean a little different things nowadays. Also "tud" (know) is related to "tuntea" (know someone, feel something). I noticed I didn't find a subs&trans video of the Hungarian one so I made one myself. I found the English translation online but I made some translations myself, too. The Finnish translation is done completely by me. It was nice to notice how much I understood after just 3 months of studying the language. I also tried a new editing technique. I did the border myself, what do you think of it? ~~ Pitch is changed and video mirrored due to copyrights. I own nothing. 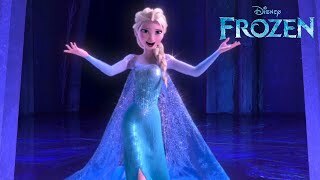 Finno-Ugric Elsas singing Let It Go! I know I should have done this ages ago but I was never satisfied with the ones I did. Now I got all the soundtrack ones in good quality so it's better. Hungarian: Nikolett Füredi Estonian: Hanna-Liina Võsa Finnish: Katja Sirkiä Want some proof? Estonian: Elav kala ujub vee all. Finnish: Elävä kala ui veden alla. Hungarian: Eleven hal úszik a víz alatt. English: The living fish swims underwater Finno-Ugrics ftw! 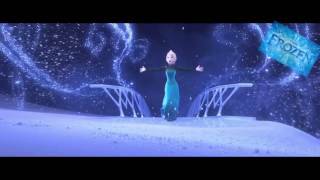 ♥ Pitch is changed and video mirrored due to copyrights. I own nothing.